Thursday, Feb. 7, 2019, 5:40 – 9 p.m. 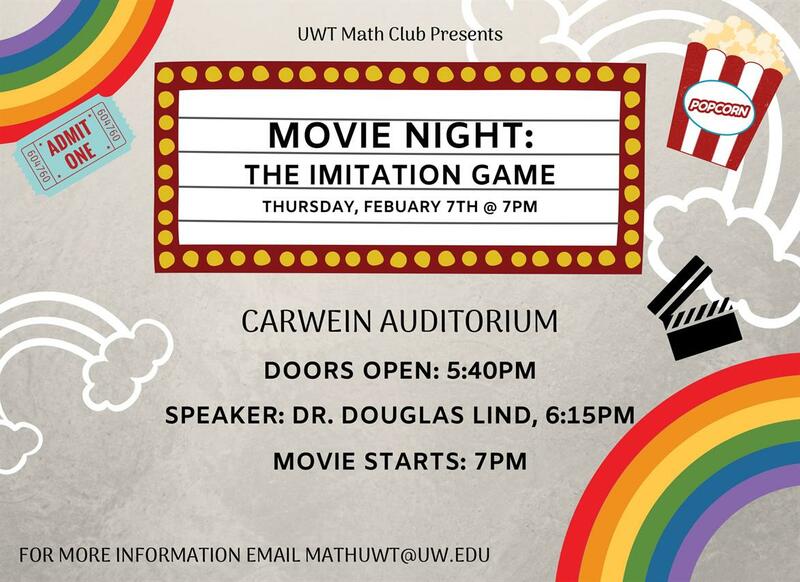 Math Club is hosting a movie night airing the Imitation Game with guest speaker Dr. Doug Lind! Great opportunity to get involved in the Mathematics Community, and if you're a Math Major earn community points!